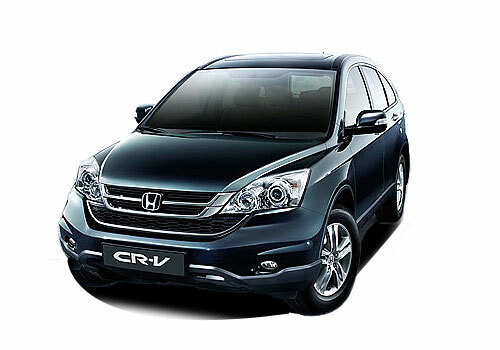 Honda Motors have arrived with a brand new Honda CRV for its Indian fans. 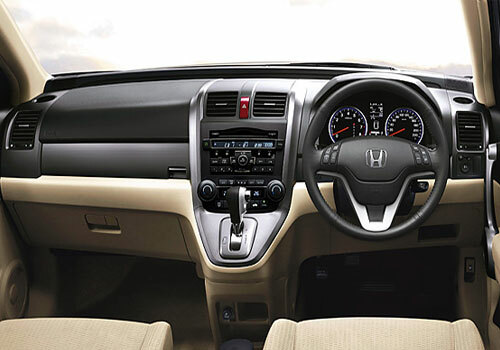 the car has been launched in four variants, namely Honda CR-V 2.4L AT with Audio Video Navigation, Honda CR-V 2.4L AT, Honda CR-V 2.0L AT and Honda CR-V 2.0L MT. The price tag attached to the new CR-V model ranges from Rs. 19.95 to Rs. 23.85 lakh. This time around, Honda Motors has made CR-V more dynamic and elegant on the outside, while interiors are of high quality and refined than ever. Besides the good looks and premium interiors, two engine options are being offered, both being extremely fuel efficient and performing. The company will be assembling the car in India for the very first time at the HCIL’s plant located in Greater Noida. 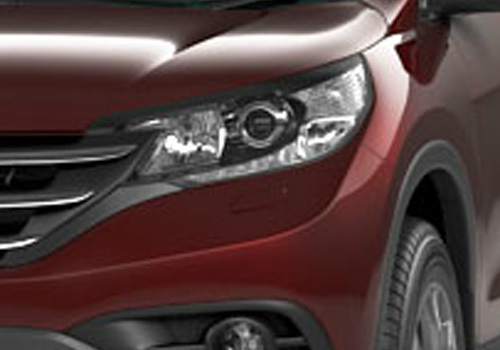 Assembling here has certainly made the price tag lowered and certainly alluring for the aspiring car consumers. Going into the detail, the 2.0L engine fitted in Honda CR-V 2.0L AT and Honda CR-V 2.0L MT produces peak power of 156PS along with 190Nm of maximum torque. The five-speed automatic transmission and six-speed manual transmission has been coupled with the engine for the respective variants. The fuel efficiency here is as impressive as 13.7 kmpl. On the other hand, the 2.4 litre DOHC i-VTEC engine is inspiring and manages to deliver 190PS of peak power along with 226NM of maximum torque. The fuel economy here is around 12 kmpl, which is certainly not bad at all. The performance of the new Honda CR-V is enhanced via Cruise control, which has been fitted to deliver perfect balance and soothing driving experience. In the top end trim, which is a 4WD is just ideal while driving. The car gives you an option to switch from 2WD to 4WD with just a push button. Also the paddle shift present in this one will allow the driver to turn the automatic transmission into manual control. 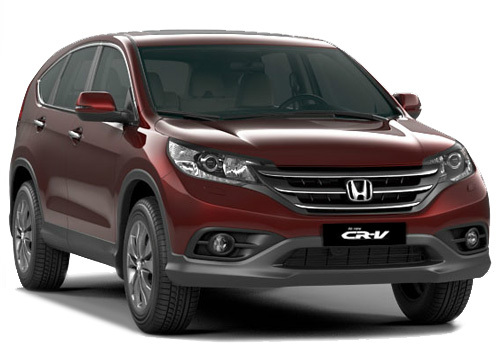 Moving on the exteriors of the new Honda CR-V, Honda Motors have worked on it very hard and came out with a top-class result. 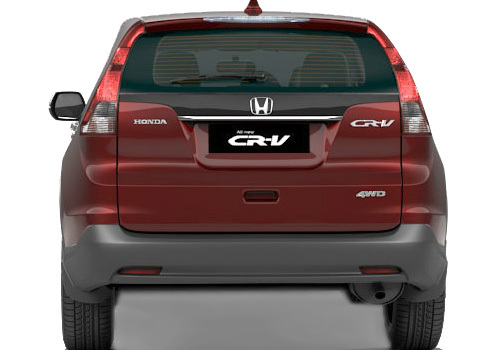 The new Honda CR-V comes with aerodynamic design with chrome finished grille, HID projector headlamps with washer and very chic tail lights. The 10 spoke 17 inches of alloy wheels adds on the sportiness and masculinity to the overall appearance of the car. Alternatively, the interiors here are sophisticated and loaded with all kinds of comforts, which a driver and passenger wish for. The dual-tone Sienna Beige interior theme coupled with high-quality leather upholstery act as an icing on the cake. The cherry on top are the comfort features. You will be seeing 5-inches of multi information display, advanced audio system, rear camera, Air Conditioning with automatic climate control, superior navigation system, and its famous Eco Assist system that changes color in sync with the driving style. 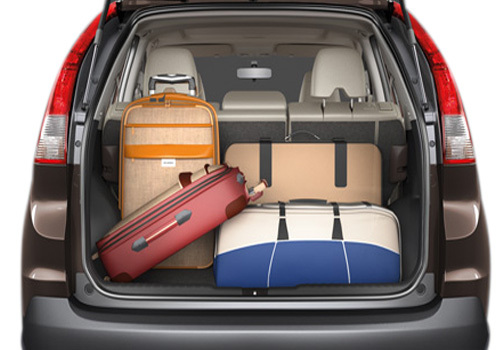 On the other hand, Honda Motors hasn’t compromised on the safety as well and blessed new Honda CR-V with a string of advanced and exciting safety features. Some of the major ones comprise of ABS, EBD and BA along with OPDS, airbags, Hill Start Assist, G-Con Technology, Motion Adaptive Electric Power Steering, and the list goes on and on.